Former Bangladeshi Prime Minister and Bangladesh Nationalist Party (BNP) chief Khaleda Zia was on Monday sentenced to seven-year jail in a corruption case. The verdict was announced at the temporary court premises set up at the old central prison in the capital, bdnews24.com reported. The case was filed against Khaleda by the Anti-Corruption Commission (ACC) eight years ago. The ACC had accused her and three others of embezzling 31.54 million taka ($397,435) from the the Zia Charitable Trust. 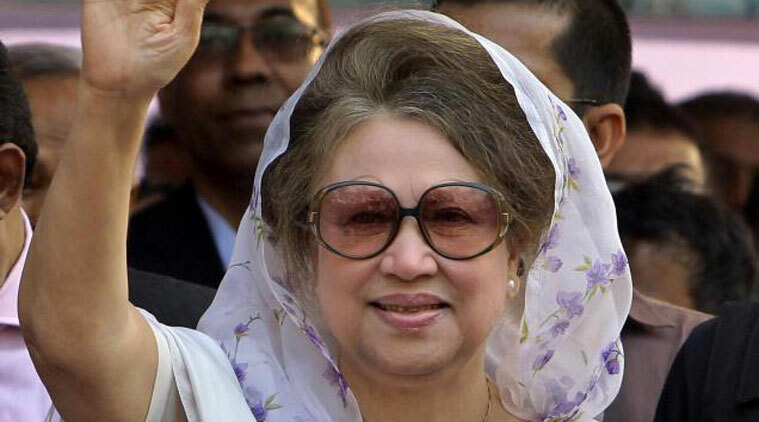 The final trial proceedings in the case went ahead in the absence of Khaleda, who is serving time in jail over another corruption case, after the prison authorities repeatedly failed to bring her to court. Khaleda’s former political affairs secretary Harris Chowdhury, his former aide Ziaul Islam Munna and former Dhaka Mayor Sadeque Hossain Khoka’s personal secretary Monirul Islam Khan were the three others convicted in the Zia Charitable Trust graft case. The former Prime Minister and the other convicts were also fined 10 lakh taka each, in default of which they will have to suffer six months more in jail, according to the verdict. Chowdhury has been at large since the start of the case. The other two convicts were present in the court to hear the verdict. Khaleda has been in custody since February 8, when she was sentenced to five years in prison in another Zia Orphanage Trust graft case. In this case, Khaleda and five others, including her elder son Tarique Rahman, were accused of embezzling over 20 million taka ($253,164) from the orphanage trust during her 2001-2006 Prime Minister term. Khaleda has reportedly been facing dozens of cases, including five on corruption charges and 15 for masterminding violence during their anti-government movement since 2014. Khaleda has often said that political vendettas were to blame for the cases against her and her son.